Britain and Germany have blocked Palestinian member in the International Olive Council. Palestinians wanted to join the council to further development of the Palestinian olive industry. Observers believe that Britain and Germany blocked the Palestinian bid on the basis that it threatened the ‘peace process’ between Palestinians and their Israeli occupiers. Palestinians argue that the International Olive Council is primarily a technical body, providing opportunities for grants and training, and that in any case ‘peace talks’ are stalled and it is time to move on in some areas. Sectors of Israeli political spectrum oppose the Palestinian Authority joining international organisations, anything that solidifies the idea of a Palestinian nation. Write to Amber Rudd and the Foreign Secretary William Hague, asking them to be aware of this issue and to withdraw British objections to the Palestinian Authority being a full member of the International Olive Council. Hastings Friends of Yatma member Gill Knight is in the West Bank, and one of her activities is picking olives. International volunteers are essential to the annual olive harvest in many parts of the West Bank because Israeli settlers harass Palestinians picking their olives, especially if the olive trees are located close to the illegal West Bank settlements. Knowing that international volunteers are with the local people as they harvest their olives lets the settlers know that harassment will be witnessed by the outside world. And when incidents happen, local Palestinians are treated more fairly by the Israeli occupation forces when international volunteers are present. Moreover, Palestinian farmers and their families are often buoyed by the feeling of solidarity of having international volunteers work beside them. Olive trees are a point of conflict between Palestinians and militant West Bank settlers all year round. 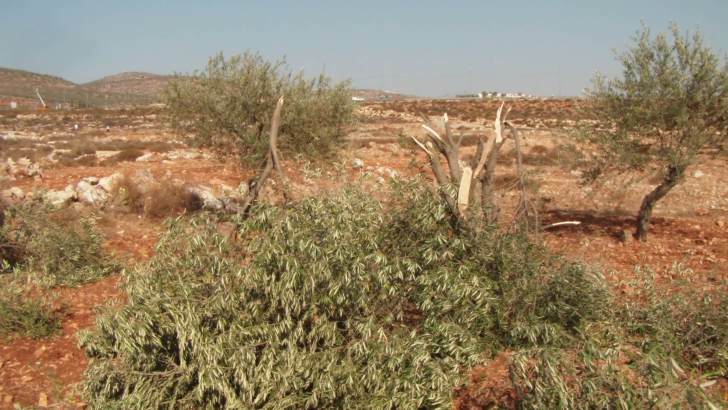 Olive trees are often uprooted by settlers, or burned. Sometimes they are enclosed by illegal settlement fences. 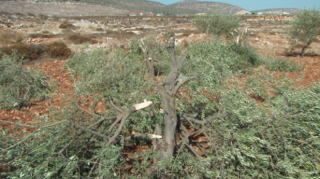 Yatma farmers have experienced attacks on their olive trees by settlers from the nearby Israeli towns. 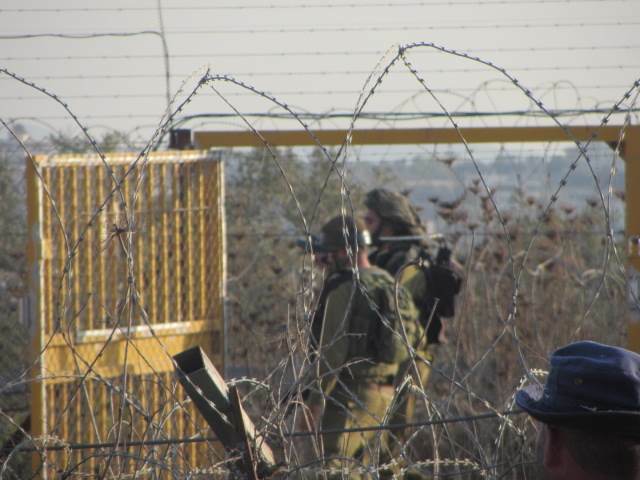 Frequently farmers are prohibited from accessing trees that are close to settlement boundaries by harassment from armed settlers or by the occupation army. On occasion olives are stolen by settlers. Here. It isn’t clear whether this is an act of simple theft, or a political act to harass Palestinian farmers. Here is an example of a recent attempt to steal olives by settlers. The thieves were sent on their way by the occupation army, but weren’t charged. As near as we have been able to ascertain the olive harvest at Yatma went of without serious incident this year. The olive harvest is an important cultural time of year for Palestinians and provides an considerable portion of the year’s income for many families. The olive harvest frequently brings residents and settlers into conflict as Palestinians’ olive groves are often adjacent to illegal settlements. At the time of the harvest militant settlers often take advantage of the occasion to attack harvesters, and to assert their control over olive groves near settlements. Yatma has been the site of conflict in the past. Many see it as part of an organised campaign against Palestinians. There were frequent incidents in the West Bank in 2011, but Yatma has apparently been spared this year. Here is a collection of 95 photos or a recent Yatma olive harvest, posted by Combatants for Peace. It isn’t certain what year these photos were taken.